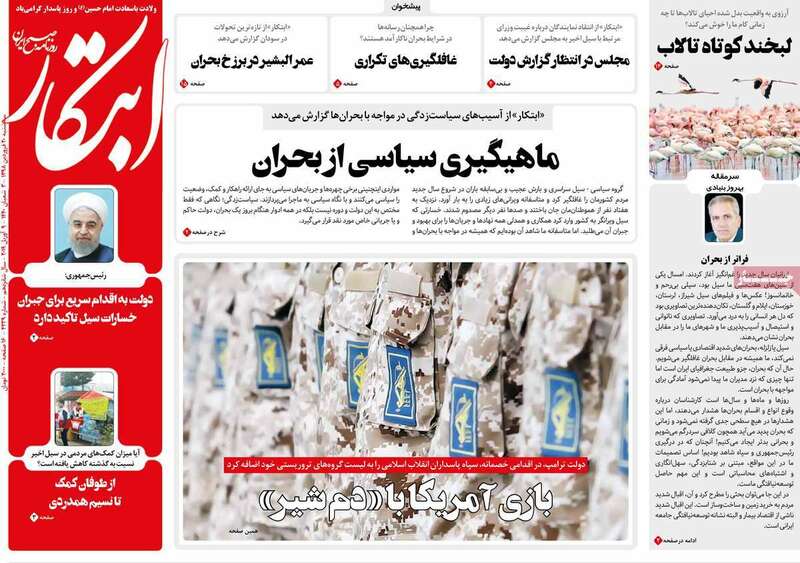 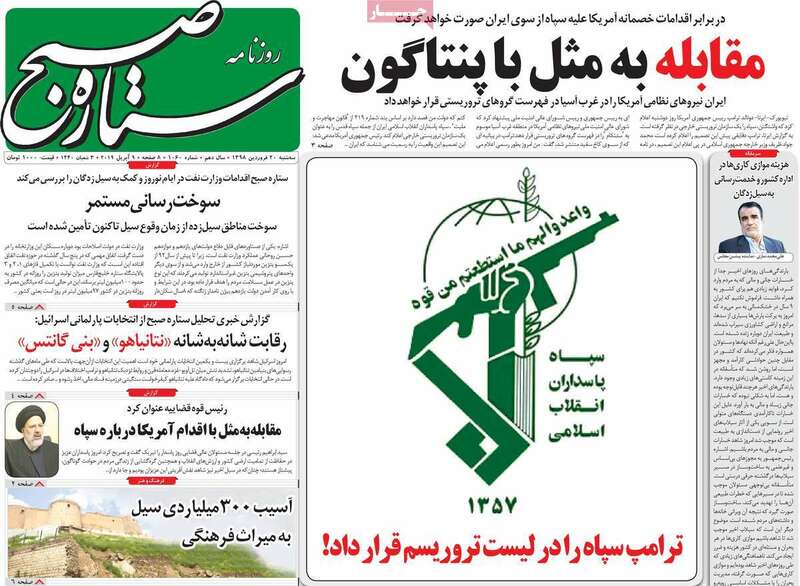 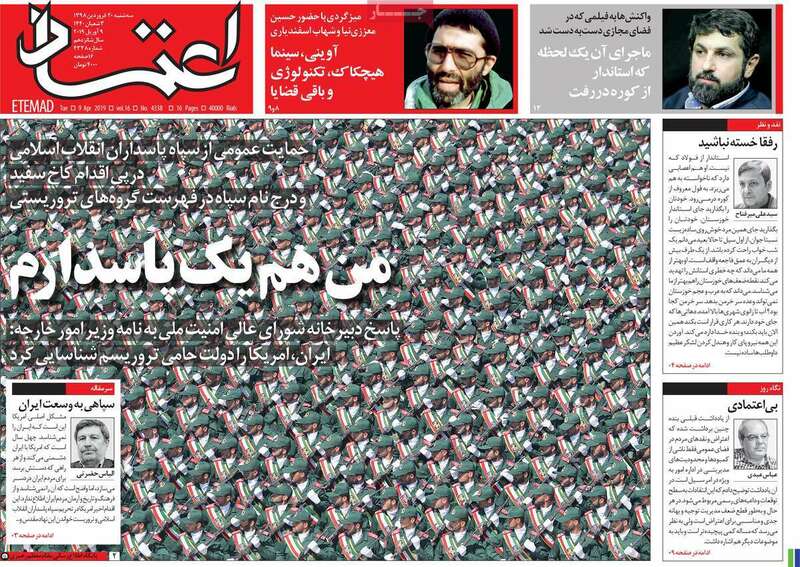 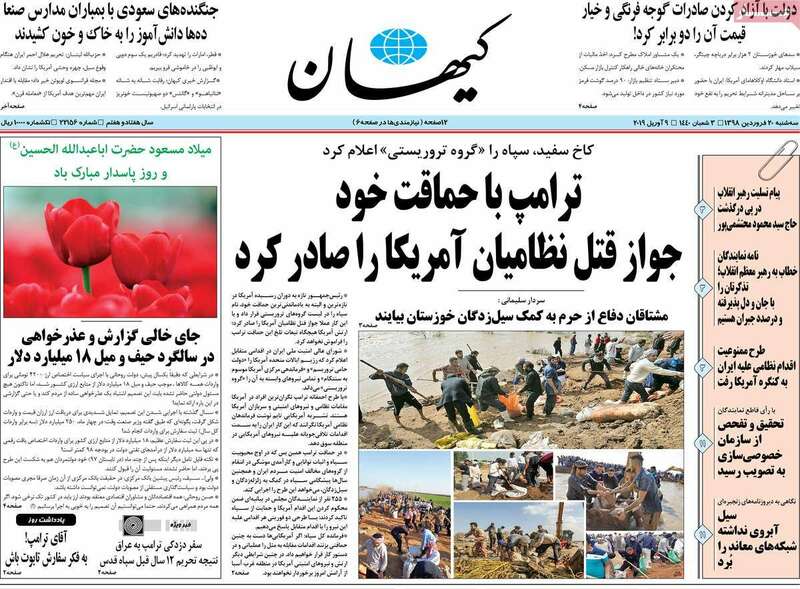 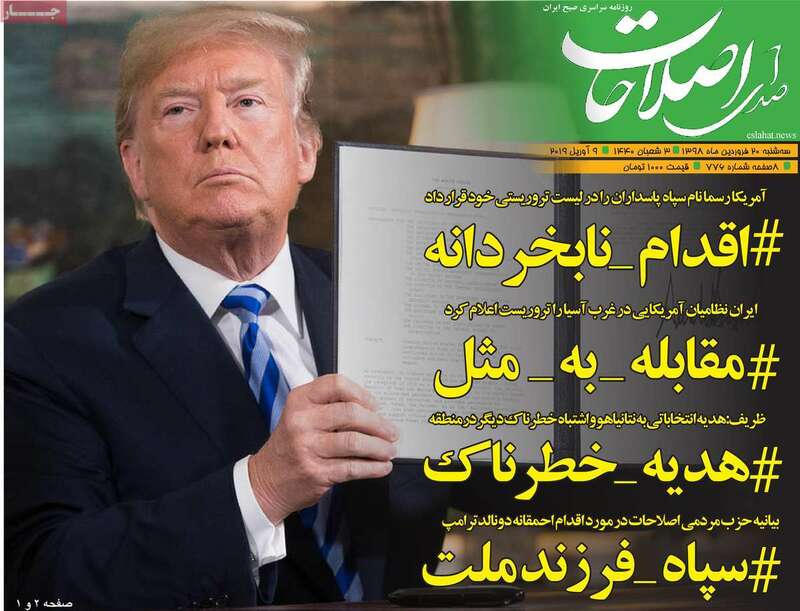 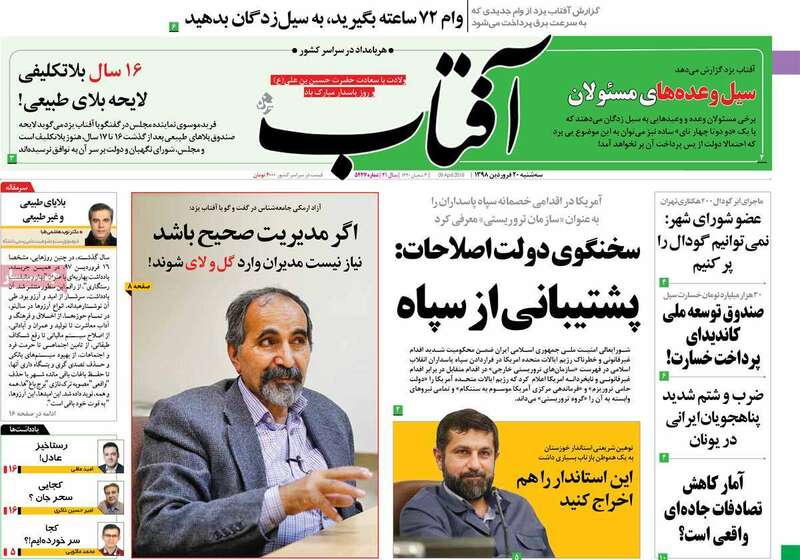 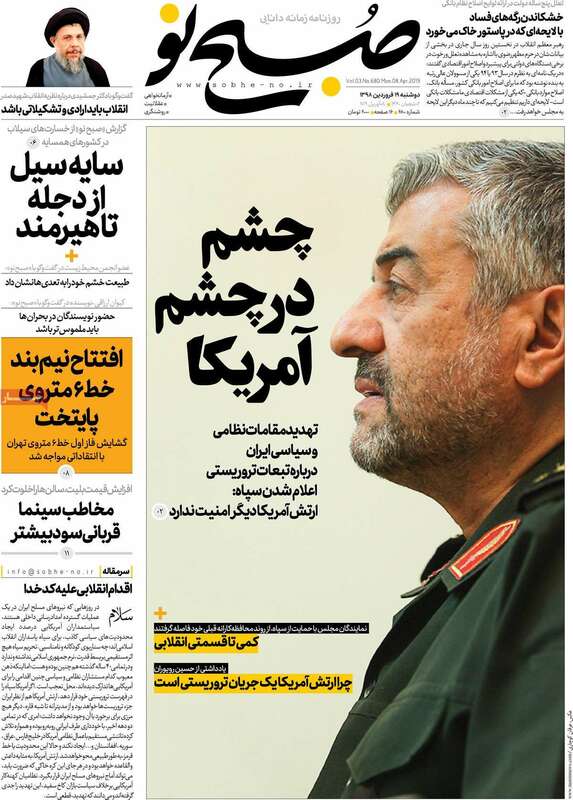 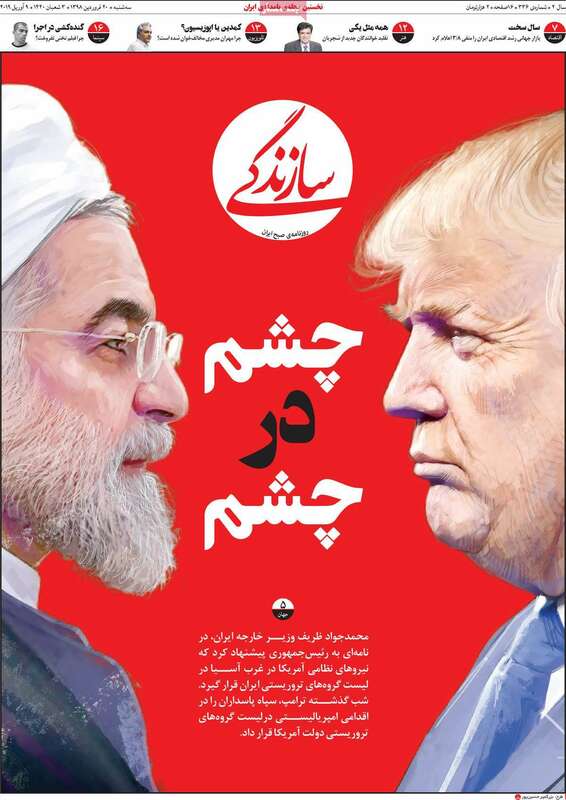 Iranian newspapers spanning the country’s political spectrum reacted to the U.S. State Department’s designation of the Islamic Revolutionary Guards Corps (IRGC) as a foreign terrorist organization with a mix of outrage, bombast, and expressions of solidarity with the IRGC. 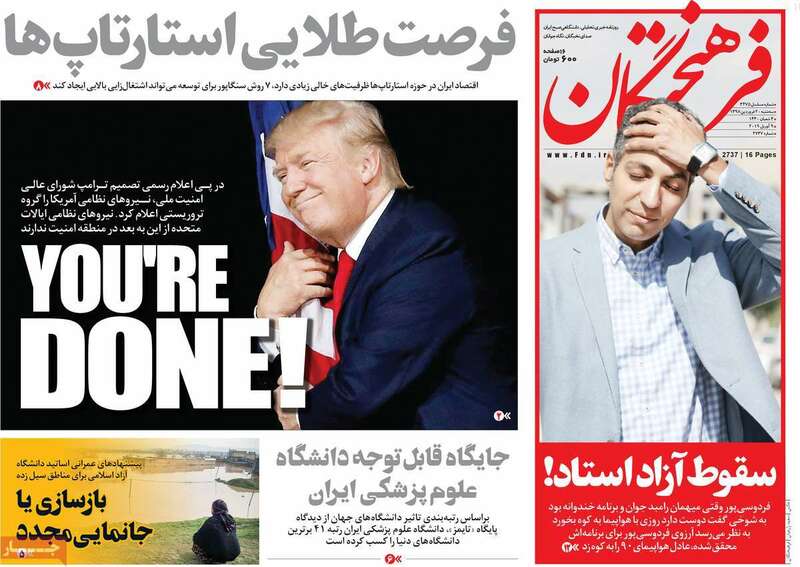 Front page headlines and illustrations from some of Iran’s main newspapers, drawn from Iran Front Page’s online compilations, are below. 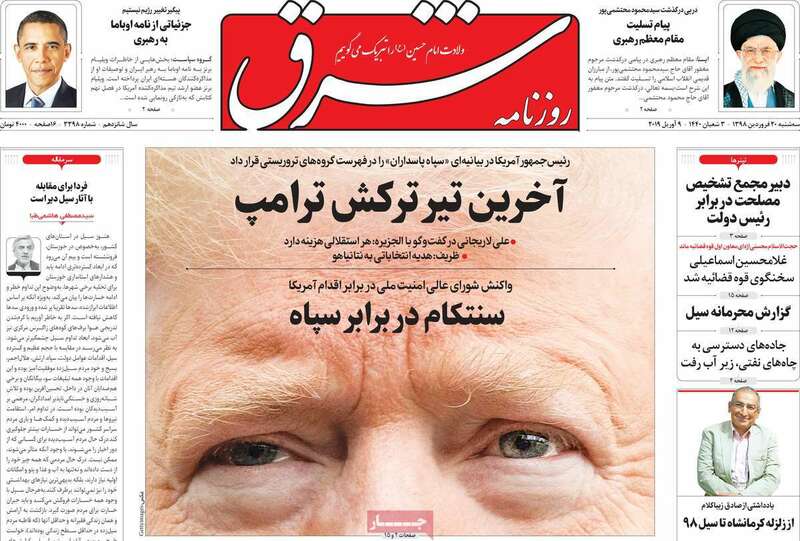 “#Reciprocation: Iran Designates U.S. Military In West Asia 'Terrorist'"
"#Dangerous_Gift: Zarif Says Trump's Election Gift to Netanyahu Was Dangerous Mistake"
"#IRGC_Child_of_Nation: Reformists Condemn Trump's Stupid Move"